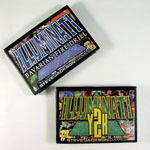 I've never liked Illuminati Y2K's packaging -- the blister-on-card works perfectly for miniatures, but for a card game, it left much to be desired. This year's reprint, however, got an upgrade. 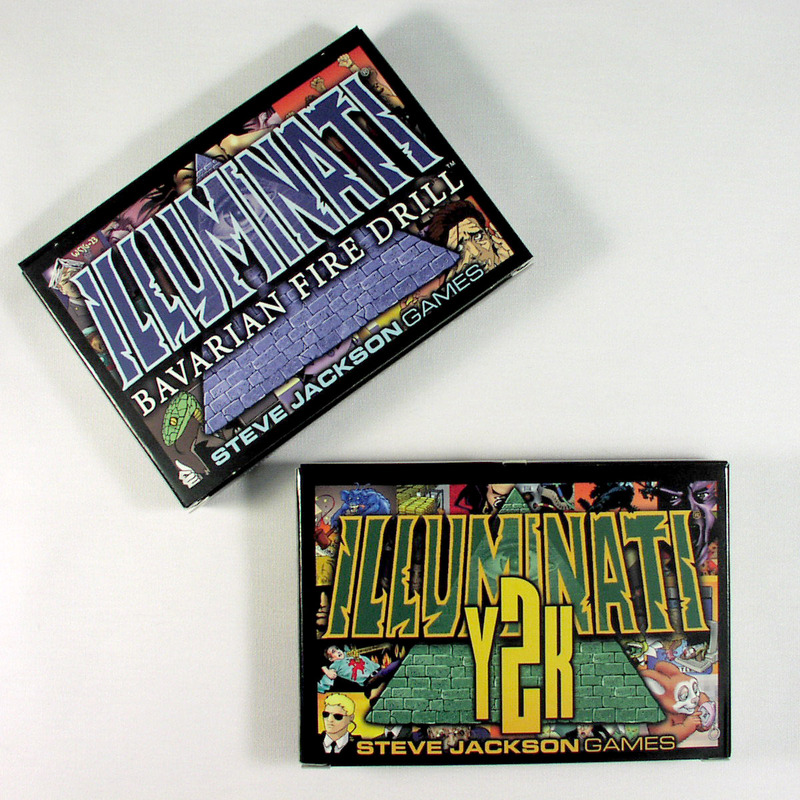 Now Y2K is in a nifty tuckbox, just like its little brother Bavarian Fire Drill. Yeah, imagining the Illuminati line as a family, with Illuminati: Crime Lords as the "cousin from Jersey," is more disturbing than it really should be. Guess I need to calibrate the Orbital Mind Control Satellite.